Reliable transportation is a must in the U.S. Sometimes depending on public transport is simply not a viable option for getting from one place to another. While there are used cars aplenty in today’s market, it can sometimes be a stretch to find a deal that is in the $10k range or less. However, it is possible to locate affordable cars in St. Peters if you are willing to do a little research first. Here is a fairly comprehensive list of reliable, older vehicles that meet the 10 grand and under criterion, but keep in mind prices do vary according to geographical area. There are also a number of other makes and models that could qualify here, as well, including used VW cars for sale. For information on any of the above models or if you are interested in one not listed here, call 5 Star Auto Plaza at (636)940-7600. We always have an excellent selection of dependable and affordable cars for sale in St. Peters and would be happy to schedule a test drive for you for one or more vehicles. 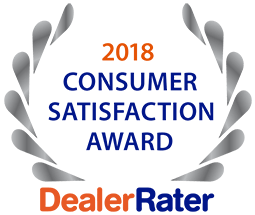 Our long-standing favorable reputation in the community means we are ready to work with you to help you gain a “new” used car for your transportation needs.